SET OF 12: VINTAGE WINE CORK WIRE STANDS: Guest’s Name, Table Number or Photo Holders. Are you an engaged couple that loves wine? Why not add a little of your favorites to your wedding with these lovely spiral wire-core photo, place card or table number holders. Of course, you can make these yourself - but SAVE TIME avoiding DIY & Just Buy These!! 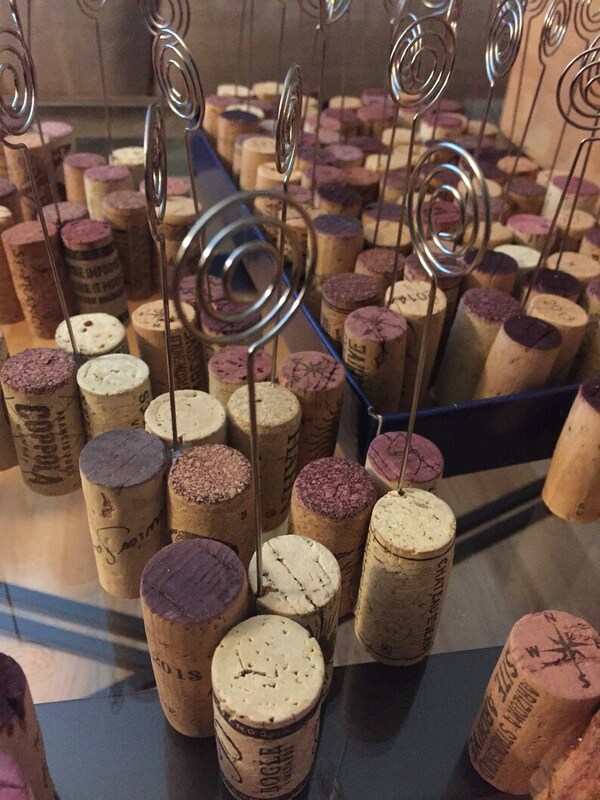 Wine Cork Wire Stands are already made and will ship immediately!! Used Vintage wine corks with wire stand name card place holders - a beautiful addition to any rustic wedding table setting. Add twine or lace if you like, just so you can say you completed a crafty DIY project. Perfect for a dinner party, Anniversary party or Wedding. Simply insert your name card or table number card into wire circle. Reusable, just change out the cards as needed. Natural Wine cork is about 2 inches long by about .75 inches in height. The wire adds about another 3 inches in height for a total height of about 5 inches. Sorry, but these are not breeze-friendly and shouldn't be used for tent or outdoor events. Name cards not included. Came quickly and were great table number holders at our wedding. I found that this seller has the most reasonable price I could find on Etsy for similar items. I would definitely recommend these for anyone else looking for wine/rustic decor items.